Lord Sai Baba is Mercy Incarnate. What to say about His Kindness and Greatness. We can even measure sky, count stars in the universe and go deep below ocean, but endless and inscrutable are His ways to shower His blessings. Go through below experience of Sai Sister Sunitha Ji. Sai Sister Sunitha Ji from USA says: Jai Sai Ram Dear Hetal Ji, Thank for you giving all us a platform to share our experiences and to read the experiences and come closer to Baba. I visit your blog everyday and my day is not complete without coming to your blog. Saima, please forgive me if I have made any mistakes or missed anything. I completed my 9 Sai Guruvar Vrat on Dec 22nd 2011 and I did this to get Baba’s blessings to improve my chronic health problems. On Dec 18th, right before I ended the Vrat, I was blessed with Sreemannarayneeyam book and that too it was in my mother tongue. This is how it happened. In the temple I go every Thursday for Baba’s Arathi. They were celebrating World Narayaneeyam day and I just happened to find out through the temple web site and I was able to make it. I didn’t know anything about this celebration and I talked to a lady, whom I have met once before and she gave me this book to use to chant the Skandas and she also offered to keep it for myself. This is a condensed version of Sreemad Bhagavatam, on Guruvayoor Krishna, who blesses people with health issues. We recited several Skandas. After that day, I started reading one Dashakam every day. If you read any Dashakam, it is said that it will help improve one’s health. My husband is also reading it regularly and we are seeing some miracles. I even found on Guruvayoor temple website a section that contains devotee’s experiences. If you read those devotees’ experiences, you are reminded of the miracles of Shirdi Sai Baba and experience. I am seeing the benefits from reading this book. On December 15th, which was a Thursday, when I was going for Baba’s Arathi. I was asking Baba to come in some one’s form. In the temple I was talking to a lady, whom I had met during Kakad Arathi. We were causally talking that evening and she said I look tired and I told her I am going through some health related issues. She said to go for Ayurveda and she also suggested few other things to try out. I didn’t give that much importance to this at that time, but in the night I suddenly felt that it must be Baba’s Leela only to have suggested this through her. It is because of my ignorance I didn’t recognize that before. I asked the lady next Thursday if she has tried Ayurveda and why she suggested that to me. She didn’t even remember telling me this although, but she remembered about the other stuff we talked about. This convinced me that I should go for Ayurveda since it comes from Baba only. Then I tried to find if there are any places close to my house since I live in USA. I searched online and found a center and also made an appointment. The practitioner had gone to India and I had to wait couple weeks to see her. I had another concern because the consultancy is expensive since it is not covered through insurance and it is paid out of our pockets and each visit is expensive. So I decided to do a “Yes or No” chit. I sometime do when I am not sure what I should do. So I asked Baba if I should really go for Ayurveda and see this doctor. The answer was a ‘Yes’ and I decided to go for it. I made the appointment and had to reschedule it few times because something or the other came up. Finally when it was finalized, it was set up for Thursday which made me happy. It has been more than a week and I am taking those herbs now. I am sure this will benefit me a lot. I had to make some changes to my daily routine which is a good thing also. I will post my experiences again after I finish my herbs. This is about my daughter’s grade. I had said to Baba I will post this if her grade improves. She had got a bad grade in one of the subjects and she was very disappointed and crying. She had missed submitting a paper. I told her to go back to the teacher and ask her if she could still finish it and submit it. She wasn’t ready to ask and I told her we should pray to Baba to give her the courage to at least ask her teacher. Next day when she approached the teacher, she suggested to grade another test that they had taken and it was not taken into the grade yet that was published. Once that was added, her grade went up by one level on the same day. We thanked Baba for listening to our prayers and for being with us always. 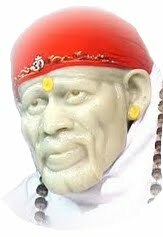 I also finished doing 7 day Parayan of Shri Sai Satcharitra asking for Baba’s blessings for my husband’s job search to be successful and to help him find a good and a stable job soon. As soon as I finished the Parayan, he has got a call for the second round interview. We are waiting with faith and patience. I am sure we will get Baba’s blessings soon. Surrendering myself and my problems at Baba's feet is helping me to go through so many problems at once in my life and some problems that are there for several years. Baba, please bless us all to have Faith and Patience. Ananthakoti Brahmanda Nayaka Sri Satchitananda Guru Sainath Maharaj KiJai! We may not get fruits immediately, today or tomorrow while walking on the path of devotion for which we should not get disappointed. We must take care that our love and trust should not decrease by not getting the desired results early. Our devotion should be strong enough to wait for the right time to get the results. Shraddha is the foundation of the path of devotion and Saburi is the time taken to walk on that path. Thank you Hetal Ji for posting my experiences. Last week I was wondering why the experiences I posted in January has not been posted yet. Then I thought I should have patience may be there are more experiences that came before mine or some experiences have to be posted sooner to reach the devotees. I also prayed to Baba saying if there are any mistakes in what I wrote, if it can be posted in a week it would be really great. Here is my experience poted within a week. Sai ma is always there with is listening to us every moment. Thank you Baba. Anantha koti Brahmanda nayaka Rajadi Raja Yogiraja Parabrahma Sree Satchidanda SadGuru Sainath Maharaj Ki Jai!! very nice experience.may saimaa bless good health to u & ur family.om sai ram! Jai Sai Ram. Do not worry you will surely get well soon and your Husband will certainly get a new job. Hard work always pays off and Baba will certainly bless your family. Just wait a little more and everything will get better. I sometimes wonder how much pain this human life has to go through and every human being has concerns . But the way Baba helps us all through the tough times is a miracle in itself. Baba is omnipresent , kind and powerful. May Baba bless you and answer your prayers. May Baba bless you with good health and happiness. Your post was a miracle in my life. Like you, I have also been going through health issues and so many worried related to the same. About a year back a good friend of mine suggested to read Narayaneeyam. Despite being from Kerala, where Narayaneeyam originated, I ignored it. One day somehow i went to a book shop and I saw this Narayaneeyam mp3 disc set and bought it impulsively. This morning, I was having a very disturbing argument with Baba and complaining to Him that He is not listening to my prayers to heal me or He is not doing anything to help me get over my worries. I cried a lot and started blaming Baba for everything. Then I read your post about Narayaneeyam and realized that I have been having butter in my hand all this while and looking for ghee. Thank you for posting your experience. Thank you Hetel Ji for giving us a platform to learn so much. Above all< i apologize to my sweet Baba for shouting at Him and pray Him to give us all constant faith and devotion at His feet. It is all Baba's leela I should say, Baba is a ocean of mercy and takes care of us. I am glad to hear you are going to read Narayaneeyam. Please start reading and put all your faith and devotion at his feet and don't worry about the end result. I read somewhere you can read one dashakam everyday and you can keep 1 rupee for every dashakam and when you complete the Narayaneeyam you can give that to the Guruyayoor temple. May Baba bless you and relieve you from your health issues and other worries that are bothering you. We should have unshakeable faith and lot of devotion and patience and Baba will help us cross all the miseries of this world. Very nice experiences! Thank you for also telling us devotees about the Sreemannarayneeyam book. Baba's blessing will make sure that everything goes well for your husband's job search and with your health problems. Baba knows what is good for us who remember Him.